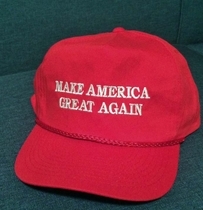 Classic Make America Great Again Cap. Popularized by the Pres, this retro throwback cap is in the design of the cap your dad or grandfather wore when they hit the links. Even includes the rope on the brim.